The Arctic Circle is defined by a curious phenomenon only observed in these latitudes known as the midnight sun. During the summers, when the pack ice allows vessels to explore the spectacular scenery of icebergs and calving glaciers, the sun never sets. During the polar winter, when the sun does not rise above the horizon, the average temperature is -40°F. Much of the soil is permanently frozen and only the top layer melts during the summer. This allows a surprising number of flowering plants to burst into color against a backdrop of treeless tundra, fjords and craggy mountains. The wildlife is as spectacular as the scenery with chances to see polar bears, reindeer, walrus and arctic fox on land, and a host of seals and whales including belugas and narwhals in the sea. Birdlife includes arctic terns, gyrfalcons, sea eagles and puffins. Dives in the polar areas range from shallow ice diving along the floes or icebergs to wall dives and shore dives. Sunlight and salt water reflect off of the surrounding ice creating brilliant blues and greens on the formations. Diving in the Arctic offers not only ice, but also interesting marine life, such as seals, kelp walls, sea snails, crabs, sea butterflies, various Arctic fish, shrubby horsetails, jelly fish, sea hedgehogs and starfish. 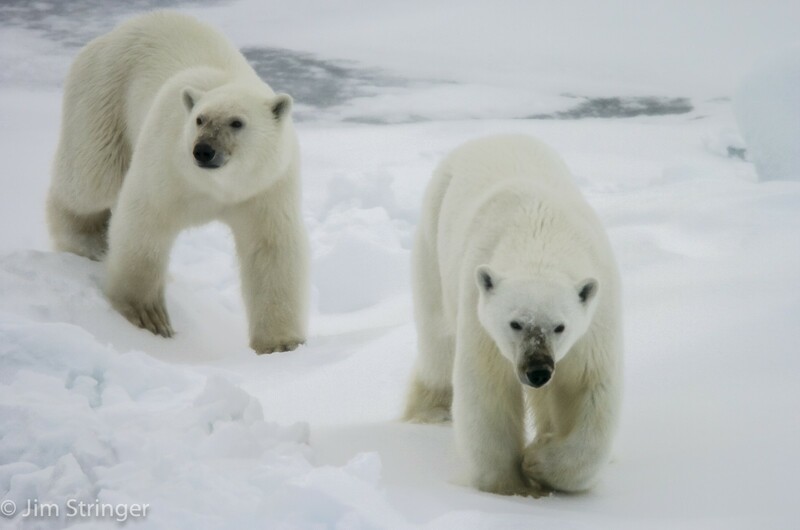 The possibility of walrus and polar bears in the water make it a true Arctic experience! These voyages are not for beginners. In order to dive the Arctic, you need to be an experienced diver (Open Water Advanced) and must be familiar with cold water diving and dry suit diving (at least 20 dives).